It’s October 31… and that means the #Write31Days Challenge is OVER. I’ve written every day, for one month. I think my posts were probably longer this year than last. But none the less, it’s a simple accomplishment. I wrote outside of my normal topics. I had to come up with ideas on the fly vs. plotting them out. Writing every day is a great way to feel creative, use our vocabulary, and grow in how we express our ideas. We do not need to wait for a challenge to write every day. Pick up a journal. Write. Write what ever is on your heart or mind. Write. Even if no one is going to read it. Write. Write to your spouse, your kids. Write to your teenage self, or future self. Write to those who have wronged you, even if they never will read it. Write to those who you are forgiving, even if they never asked for it. Write about the things you celebrate, the things that break your heart. I know that many are excited for all of the Halloween candy coming our way tomorrow, on Halloween. I know that I have my favorites that show up in the stores. But, in truth, it’s all about Thanksgiving Day. My family smorgasbord dinner every year is something that would put Golden Corral to shame. We have 70+ people, everyone brings a dish. Traditional thanksgiving classics are always there, but it is peppered with all sorts of different things too… from flan to lasagna. In our home, when Halloween comes… we KNOW that Thanksgiving dinner is less than a month away. Several years ago, I attended a conference where I was invited to participate in a special workshop on writing. When we arrived to our meeting room, there was a huge paper shopping bag… full of books. So many books. All the books. As a lover of books, I was in my moment…. angels were singing, cherubim fluttered about me, and I was elated. I remember my joy in receiving those magnificent books. The only thing they asked of us in return was to to thank the various publishers that gifted them to us. Gifted. To us. To me. All of these beautiful paper pages, filled with theology… apologetic… devotions on our identity in Christ… living out ministry. Praise God. Three years ago, my friend Laura and I embarked on a new mission. The Lord had placed a ministry on our hearts and we have been obediently following that call, ever since. Our ministry simply put connects our local Women’s Ministry leaders to each other (to network, share, and encourage each other). 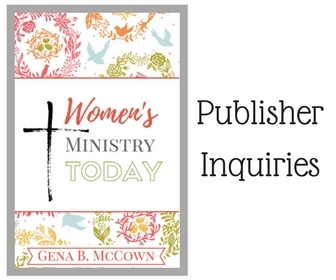 It also connects these ministry leaders to books, resources, and ministries that are relevant to Women’s Ministry in the church. The greatest joy I have, at each of our quarterly meetings, is the moment I share with these women the gift bags of resources we have gathered for them. I realize I am just the conveyor of the gift, as our ministry partners are the ones making the donations from their inventory. However, to know that they are leaving our event with tools IN HAND to help with their ministry work… it literally brings me to tears. I am humbled that the Lord uses us in such a way. What I have learned is that I really, really enjoy giving. I didn’t realize how much, until these last few years. I love giving to people. I love giving to ministries. I would rather give 100 gifts than receive 1 for myself. I would rather give 100 minutes of the floor, than take 10 minutes for myself. If I have something that could help you, I’m happy to pass it on to you. I am never happier than when I can give. … a gift of love, beyond judgement and condemnation… but sincere, genuine love. … a gift of forgiveness, because there is nothing to great that can’t be forgiven. … a gift of hope, even in the darkest time and trials that overwhelm there is hope for something more. I want to give you the gift of Jesus Christ. I want you to know God, the way I do. As someone who loved me so much, that He would send His son to atone for my sins. Jesus, who allows me to walk free in His gift than be burdened by the chains of guilt and shame. I have been washed clean, a new creation, a new opportunity to live a life of joy, peace, and love. It is not a gift of perfection, because we are human. It’s not a gift of permission to keep on going down the wrong paths, but an invitation to change direction and start a new. An opportunity to start over again, when you fail. This is a gift of HOPE that there is more to this life, a gift o PEACE that doesn’t allow the trials to get you down, and a gift of JOY to know that GOOD THINGS are to come. I pray that you are open to receive it. If you are a leader of any sort, you may be looking at a list of emails or text messages seeking your opinion. In the last few days, a well known author is at the center of some controversy. Her fans are sticking by her side. Her friends are comfortable to agree to disagree. Her critics finally received the ammunition they needed to label her a heretic. You may find yourself struggling as well. Are you the die hard fan that thinks she can do no wrong, the one who can see so much value in what she has offered that you are comfortable disagreeing with her on this controversy, or are you the critic who has been waiting in the wings for the shoe to drop? This situation is not unique. I have heard plenty of criticism about certain Bible teachers, famous Pastors, and specific authors for a very long time. Video clips, quotes from their books, etc. which have helped their critics drive home points about the person being a false teacher, heretic, and sometimes far more drastic terms. How, as a leader do I respond to these questions and criticisms? How am I responding to emails, texts, and posts about this newest controversy? By not giving my own opinion, but instead by suggesting to each person how they can go about figuring out the answer for themselves. It is the same litmus I suggest to women in my small groups and women’s ministry leaders to use when selecting Bible study materials. First, I establish the reminder that we are all humans and prone to err. Additionally the amount of knowledge I have to day is vastly greater than what I knew 5 years, 10 years, 30 years ago. As well, my opinions and interpretations have changed over the years with the accumulation of knowledge, wisdom, and experience. I need to remind myself (or whomever I am giving this counsel to) that I can’t hold anyone to a higher standard than I would hold myself. If I need grace, they need grace too.
? – What is his/her background? Seminary student? Lay leader? Seasoned speaker on the scene, or a new face?
? – Who is in his/her circle of influence? Who does s/he read, quote, look up to, etc. Is there any controversy regarding that leader?
? – Who endorses him/her? What publishing companies are printing their material, and what standards does that company hold to? What do leaders whom I respect say/write about him or her? What conferences or organizations have supported him/her? Third, I look at the criticisms of the author (body of work, personal life, etc). If there is an accusation regarding an interview clip or quote from a book, I look into the full context. I want to eliminate any criticism that is based on partial information. If it is taken out of context, or there is no way for me to verify the context, it is disregarded. If I can read it within the full context of the interview or book, then I feel more equipped to make an educated decision by testing it against the scripture. I also want to look at when this interview or book was written. It may be a legitimate criticism over a piece that is 10 or more years old. Lord knows I am not the same person, same Christian, I was 10 years ago. I’ve learned somethings. If the criticism is that old, I look for more current works and interviews to determine if the author/speaker/Pastor still maintains these beliefs or not. Fourth, I want to consider who is making the accusation and responsible for the criticism. Is this a person who generally has a critical spirit over anyone who doesn’t fall in line with his/her beliefs? Is this a person who is credible, or not? What is being criticized, the author’s interpretation of a Biblical truth or a personal conviction? What does this person get out of criticizing the author/speaker/Pastor? Is there a pride issue here, of wanting to be right or a sincerity of wanting to expose truth? Finally, if I am still uncertain, I MAY purchase the material and test it to the Word. Now you could argue that this would be better suited for the first step. I disagree. Usually, a false teacher or heretic is going to be exposed in these first four steps. I would rather not spend money on materials from a false teacher, adding to their coffers and raising their book up the best sellers list another notch. I would rather not put into my mind materials that are false teachings. I would hate for something to take hold and stick there, and later quote it in error. So, if I can discount material before reading it… I would prefer to do so. I also wouldn’t want anyone to assume that because it is in my possession I endorse it. Trust me, when you invite me into your home… I am casing your bookshelf for reading suggestions. That said, new authors and speakers may not have enough history to address those first four steps appropriately. If it comes down to it, I have to make a stand. I can purchase the material, test it against the Scripture, and then make an informed decision. OR, I can choose to skip the material altogether or at least until I can learn more about the author and their beliefs. It is okay to not jump right on the band wagon of the newest popular speaker, author, or Pastor. To take your time, observing and testing what you can. When in doubt and you can’t find clarity, it is better to pass it up than regret your decision to engage. So, does this mean I disregard everything this person has ever said? No, not necessarily. A friend of mine once said, ” a broken clock is right twice per day “. 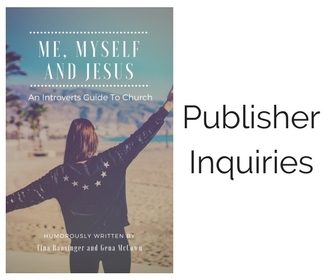 There are authors who I do read, that claim to be Christian authors, and I do question some of their theological statements and interpretations. However, because I am testing it against the scriptures… I know what to disregard. I often read some of these authors as if they are secular authors versus Christians. There are speakers who are great motivators and have some challenging words on social justice, and I can value the words they speak without affirming the rest of their beliefs are doctrinally sound. There are some books I have completed avoided, because I don’t want to even entertain the thoughts and ideas shared in the material. I would suggest to anyone before you jump on the bandwagon of criticism, do your due diligence. Don’t rely on the opinions of others. Pray that the Lord will give you clarity and discernment. When it doubt, pass it up. Be okay with giving time to build your own opinion. Look at the big picture… who is the person, their life, their beliefs, their body of work. Then make an educated informed decision. There are a lot of kids who don’t get to trick or treat, or keep their stash, due to a host of reasons. The child may be allergic to peanuts. They may have a condition or disorder that is agitated by certain food dyes. The parents may have a “no sugar” policy in their household. Regardless of the reason, if you are planning to participate in some sort of even this coming weekend, consider having non candy items available. Let parents know you are participating and have non candy options by placing a Teal Pumpkin outside your door or hanging one of the Teal Pumpkin Project signs. Note: I have seen Teal Pumpkin painting kits for sale at Target and CVS, and you can carve a regular pumpkin and then paint it teal. Or, you can buy a faux pumpkin at local craft stores and paint in teal… then you can reuse it each year. To learn more about the Teal Pumpkin Project, or a view a list of suggested non candy items, click the photo at the top of the page or HERE. We’ve been taught that good things come in small packages. If your husband presents you with a small box on your birthday, instinctively you know that it contains a piece of jewelry. We’ve learned that often the big boxes hold things like new bed sheets or a set of pots and pans. Or, your favorite candy bar that has been repackaged into umpteen dozen boxes because someone believes he has a sense of humor. Nonetheless, it is a conditioning that tells us that we can’t assume how good the gift is based on the size of the box. A gift that looks professionally wrapped may contain your one hundredth neck tie. The one still packaged in the shopping bag with the store logo on it, could be exactly what you’ve been wanting. This is also how I see our spiritual gifts. You can’t necessarily look at a person and determine what their spiritual gift is, or where they are destined to use it within the context of the church. A man who looks raggedly dressed may actually have a gift of stewardship. I think of a man who dressed modestly, people assumed he was poor, but upon his death it turned out he had several million dollars that were donated to organizations close to his heart. The stoic looking man, who sits in the back of the church, may not say much. Yet, when he prays the words are like a sweet offering to the Lord. Full of sincerity and compassion, and a love of the Lord. My Father in Law was like this. He had a sense of humor, don’t get me wrong… but sometimes, he could be incredibly hard to have a conversation with. Yet, when he would pray… he would weep through most of it. That woman in the long flowing dress, you may not realize it but she has a degree in advertising design. She is responsible for all of the materials the church mails out to the community, the signage in the church, etc. She joyfully works on her off days on church campaigns. As you walk down the hallways of your church building, beautiful paintings fill up the what would otherwise be blank walls. There is an eighty year old woman, who has painted her entire life. She blesses the church with her talent. You just never know what the spiritual gifts are that lie under the surface of the people we see before us. Yet, quite often… when it comes to areas of service like finances, construction, pastor searches, technology, et’al our church leaders look to the men in the body. When they need more volunteers in the nursery, Sunday School teachers, meal ministry, holiday decorators, greeters, and VBS volunteers… they look to the women. We have allowed ourselves to marginalize spiritual gifts by gender. We assume based on what the package looks like, what type of gift is inside. A friend of mine shared a scenario where a group of men and women from her church were invited to a dinner to kick off that years ministry work. When they arrived they found the tables themed to different areas of services. Name cards were placed at each table. Someone in the leadership of the church had assigned all of these individuals to a ministry job in the church, without even discussing it with their volunteers. This leader felt they could discern the individuals gifts and assign them tasks based on that discernment. No spiritual gifts tests were administered. No conversations happened between the leader and these various people to determine what gifts or interests they had for serving. Even still, the people were just assigned the task without even being given an opportunity to say yes or no to the position. When we make these assumptions we are really marginalizing the spiritual gifts based on our human perception or need. We are too focused on filling holes in our volunteer needs than we are looking at the individual person’s gift and figuring out how to connect them to serving in the church. Another way we can marginalize the gifts is when we allow ourselves to become hyper focused on our ministry goal. It is almost as if we put on blinders and the only way we can see that goal being achieved is through the methods we are comfortable with, what fits in our box. We can’t think outside of that box and any ideas that differ are cast aside. We may even get defensive and think that anything outside of that box will take away from our vision or goal. It too is cast aside. Then why do we hear of statistics that suggest that 80-90% of church needs are met by 10-15% of the body? Why are more people not serving? Why do we not have 100% of the needs being met by 100% of the body? Because we are failing somewhere. We are failing to recognize that spiritual gifts are not based on our genders. We fail to see our men as capable nursery workers and children’s teachers. We fail to see our women as capable administrative leaders, teachers, and staff members. We fail to see past the specifics of our own vision to value the gifts and vision of others who are serving along with us. It is almost as if we think the Lord is only capable of doing ONE thing, in ONE way, within our church or ministry walls. As if multiple ministries can’t coexist and support each other. We put all of our eggs into one basket. We fail to put effort into connect with each of our members, helping them figure out what their spiritual gift is, and develop those gifts. We fail to give them a place to serve with their gift in our body or ministry. Then, we wonder why our gifted people leave our church or move to another ministry to serve. When we marginalize the people in our church, we are taking control of something instead of surrendering it to the Lord. Sometimes we need the reminder that just because a ministry isn’t something we understand… or something that we personally need; doesn’t mean it is not valuable. Sometimes we need the reminder that just because a person doesn’t show up in the exact package we expect… or doesn’t fit our defined roles; doesn’t mean they don’t have value to add. I do love to review books, and nine of ten times I pick Christian non-fiction, bible studies, et’al. When I saw this book on the list of prospective titles… I squealed a bit. While I did just complete my Bachelors in Divinity, my original degree many years ago was in Theatre Arts. I’m a theatre nerd, geek… whatever you call us in your neck of the woods. I once went to London for two weeks. I saw 21 productions. One afternoon I bought a last minute ticket to “The Complete Works of William Shakespeare Abridged.” When the show was over, they mentioned another production… “The Complete History of the United States”. As I walked out of the theatre, got back in cue, and went right back in to catch it. I’ve been cast in more Shakespeare (and parody) shows than I can count. So… yes, this book had my name written all over it. Turns out it isn’t a typical book, but rather a collection of quotes from Shakespeare and the scripture that it references. Which is great, because it makes a great coffee table/conversation book. Also, it would be a great gift to someone heading off to college or who just graduated with a theatre degree (be kind, and slip a $50 bill in there too). It’s a fun book, and I was surprised how much scriptural references I have missed over the years.